An increasingly popular option for railings and fences that we frequently install are tensioned stainless steel cable railing systems. These systems give a clean architectural look for railings and fences that visually disappear, allowing for uninterrupted views. 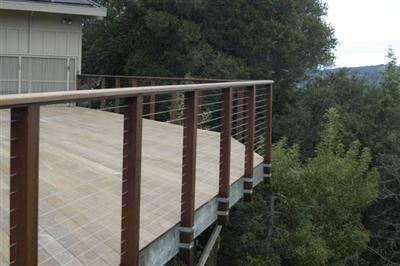 Feeney Cable Rail is one of the manufacturers we use for cable railing systems. Their products allow for straightforward installation and provide many railing options. These include glass panels, aluminum railings and a variety of commercial and residential cable systems.